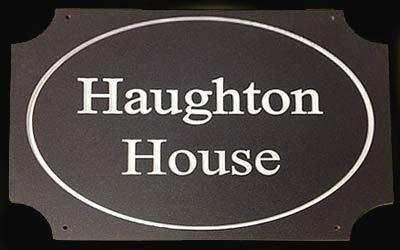 The Sign Maker for the very best in Bespoke House Signs : House signs and name plates created in lots of interesting shapes. Corian looks and feels like stone. It is actually a mixture of resin, natural minerals and pigment. It is the mineral content which retains some of the properties of real stone such as the cold feel, matt finish and substantial weight. Unlike stone Corian is totally consistant with no variation in composition, fault lines or cracks throughout its features. 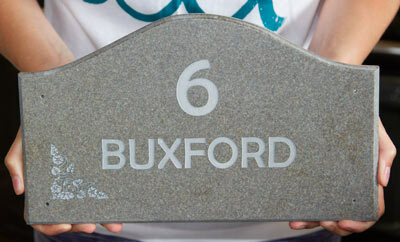 We are also able to router the corian into lovely shaped house signs and name plates. In addition we are able to engrave quite detailed images into them as well as a large selection of fonts and lettering styles. Click here to see our huge range of Standard Images available @ £9.50. 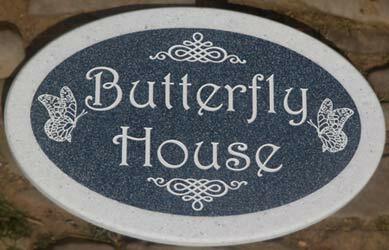 Corian is weather proof, fade proof and virtually maintenance free - Perfect for long lasting house signs. 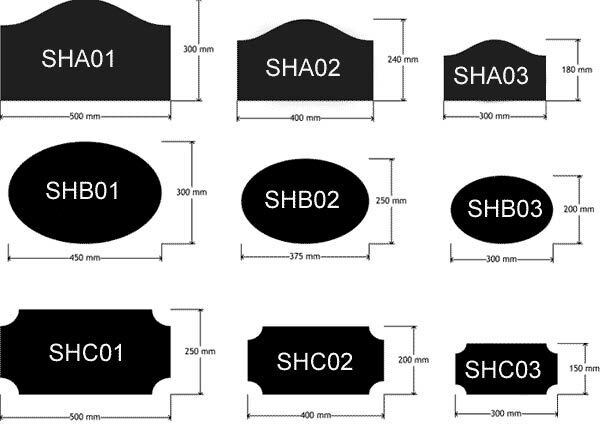 Other shapes can be cut to order a cost of £10 per order. The letters are engraved using one of the our many fonts They are then paint filled with black, grey, white, gold, silver, cream, blue, green or red. Prices include 30 characters. Extra letters £3.00 per 30, Letters are sized to fit the plaque. Letters are then paint filled with black, grey, cream, white, silver, gold, red, green or blue. 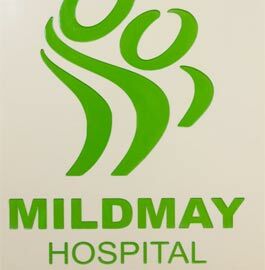 You choose the plaque shape & dimensions and we will size the letters accordingly. If you want to see a proof drawing this can be arranged at a cost of £5.00 (includes one design change). If you would like to see your sign in two different fonts the proof charge is £5.95. Made in the UK. 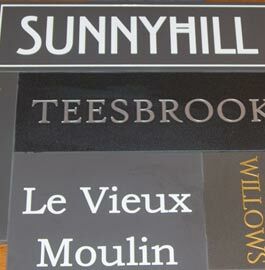 Our team at The Sign Maker looks forward to helping you with your shaped house sign or name plate.